It’s time for another Inspired Conversations interview! I know, it’s been a while. I’m really excited to introduce you to Courtney of Piper Riley Designs. I’ve loved her adorable hair pieces for some time, but have held back (sorry!) knowing we’d be doing this post together. Her work is really trendy but also incredibly fresh. It has elements of designs that are really popular with brides now but Courtney manages to bring something new to the table with each of her pieces. By doing so, she always manages deliver her own unique aesthetic I’ve come to enjoy so much. What’s your creative background? Did you go to art school or were you self taught? I guess I would say I was self taught. I always wanted to go to art school but just never pursued it. I have taken different art classes here and there, everything from oil painting to making my own stained glass pieces. I have so many ideas for different projects all of the time – recently my boyfriend and I have been talking about screen printing our own t-shirt designs. Why and how did you start your line? What was your initial vision for it, and what were your goals? My line pretty much started out of boredom. My roommate introduced me to Etsy and I fell in love instantly. I sat at my computer all night browsing everything Etsy had to offer and pretty much said to myself “If they can do it, I can too!!”. It was a slow start but as of April 2009, Piper Riley was open for business. I’m not sure if I had an initial vision at first, it was more like “I wonder if people will like what I make?”. Once I started making my first couple sales I realized I had something here and I didn’t want to let it go. Thats when I moved my studio (a.k.a. the dining room table) up to the attic. One thing I learned quickly, organization is key!!! Your work is very trendy, but you put your own aesthetic spin on it. How did you develop your style? My style comes from what I see around me. Anywhere from magazines, movies, shopping at the mall, etc… I tend to wear a lot of neutral colors, so the pieces I make always seem to go with whatever I wear. The look of a plain black dress can be so boring sometimes, its amazing what a couple peacock feathers in your hair can do. What most inspires you, and what is your design process like? Things found in nature inspire me the most. I like to take naturally pretty things like feathers and flowers and put a new spin on them. 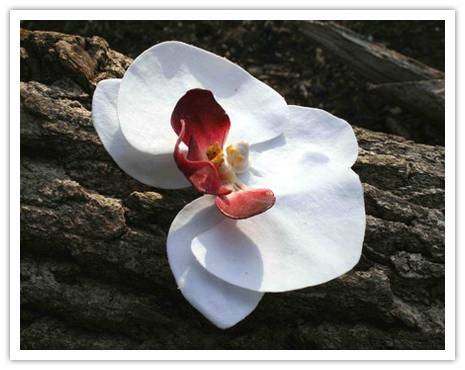 A flower is pretty on it’s own but even prettier in the hair of a bride to be. I really don’t have a specific design process and I never plan what I am going to make in advance. I just sit down at my work bench and see what happens. It’s a lot of trial and error. Sometimes my ideas look better inside my head than on it! Are there other designers that you look up to? There are so many amazing designers out there it is hard to choose just one. I look up to all of them!! One in particular who is new on my radar is Jammer Designz. Her work is absolutely beautiful!!! What are your favorite materials of the moment? I have so many new materials that I am working with at the moment. One in particular are my white peacock feathers. They are so pretty!! I can’t wait to share them. You should also expect to see more items added to my shop, more bracelets, more vintage, more jewelry! I’d like to thank Courtney again for taking the time to answer these questions! Please check out Piper Riley Designs for more great stuff. If you have a wedding vendor you’d be interested in having their brains picked (photographer, event planner, invitation designer, et cetera), please feel free to use our contact form to suggest it! Images from Piper Riley Designs. 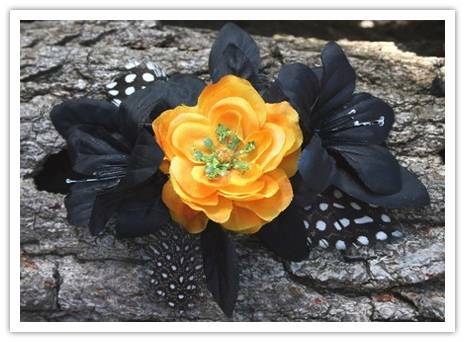 These hairpieces are so cute! It’s so neat to hear about the brains behind some of the biggest trends. Thanks so much! 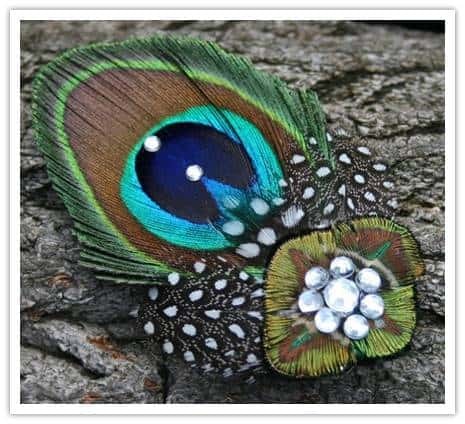 I am getting married in June 2012 and our theme is peacocks! 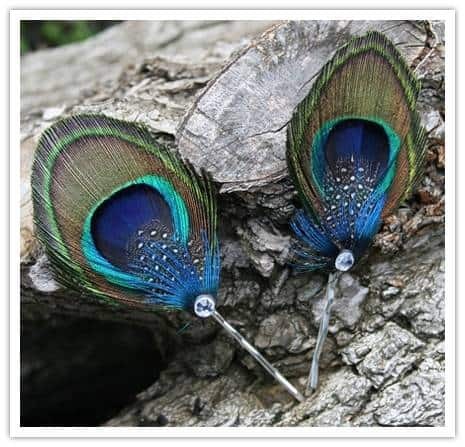 I just saw your little peacock barrettes and think that they would look adorable in my bridesmaids hair! What are your prices and international shipping fees? I would need it for 7 girls.